DriveNow makes it easy to rent a car at any time while in Brussels. With hundreds of cars located throughout Brussels there is always a car in your area. No car rental stations, no waiting for your car, just find a car near you that you like and rent it, it’s just that easy! Pricing is also simple you only pay for the minutes you use the car, and everything is included in the price, insurance, fuel, rental even parking in Brussels. DriveNow is changing the way how rental cars are done! How to rent a car with DriveNow? Just download the DriveNow app, find a car near you and reserve the car, you will have 15 minutes to reach the car. Once at the car you will be able to unlock the car with the app and hop in, enter your PIN number, (no key is needed) push Start Engine and start driving where you need to go. No need to pre book your reservation months in advance all of our cars are ready for last minute reservations! Drive everywhere around Brussels and once you are done with the car just park it back in the Brussels DriveNow Zone. Lock and end your rental in the app and continue on with your day. DriveNow makes it simple to drive when you need to! With hundreds of cars in Brussels there is always a car near you. DriveNow offers a wide range of premium cars in Brussels, you will be able to drive the latest BMW or MINI models. All of our cars are equipped with a GPS and have the latest features so you are always driving in style. You will be able to see all of the cars we currently have in our fleet below. Je suis une BMW Série 1. Where to find rental cars and to park cars? 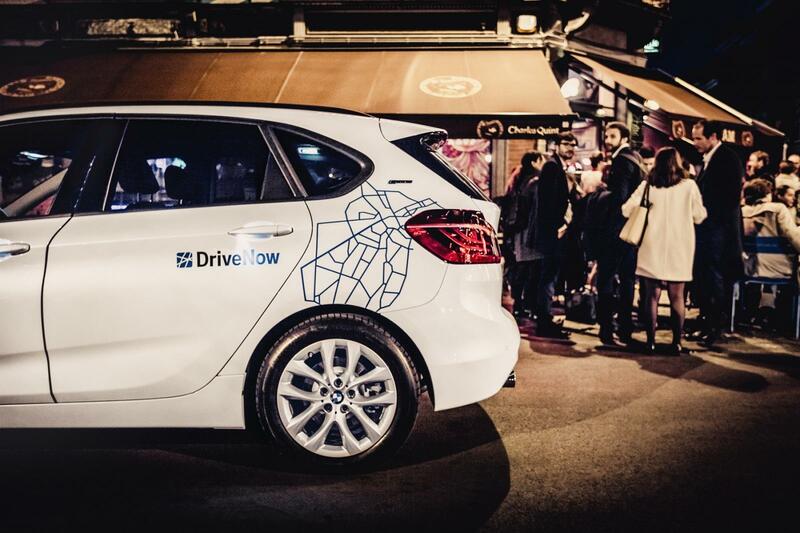 Within the DriveNow Zone you will be able to find all of the available DriveNow cars in Brussels. 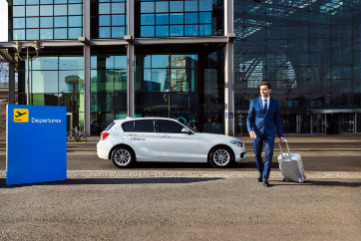 There is no rental stations just find the car on the streets.Everywhere in the green area is called the DriveNow Zone, we also have other areas where you can find cars like the Brussels Airport or in 9 specific Interparking garages in the city. Also we specialize in one way rentals so you will be able to start your rental on one side of the city and end it on the other. With a DriveNow car in Brussels, do not worry about the parking meter, within the DriveNow Zone. If you park within the DriveNow Zone your parking ticketprice is also included in the rental. You will also be able to park your car in almost every public parking area in Brussels there are only a few exceptions, you will be able to find them here. 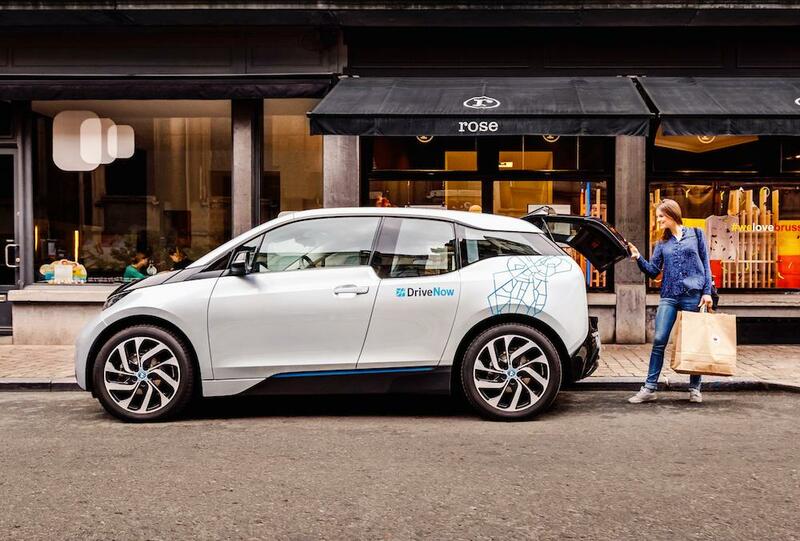 DriveNow also service the Brussels Airport making it easy to get to from the city. Just land at the airport reserve your car and start driving in Brussels. Rent hundreds of cars in Brussels near you! Get out of the city for a weekend!